The saying should go: if you can make it in the Hamptons, you can make it anywhere. Just ask Jennifer Bandier, founder of the game-changing luxury activewear boutique Bandier. Founded in Southampton in 2014, Bandier now encompasses five brick-and-mortar locations, an e-commerce business and three new stores are slated to open before the end of 2016. Bandier’s new Flatiron flagship also boasts its own boutique fitness studio with a rotating roster of A-list fitness instructors, a juice bar and a communal area. We spoke with the music exec-turned-fitness entrepreneur, who’s not only responsible for brands like Koral, Michi, Vie Active and Alala being thrust into the spotlight, but for making it “acceptable” to splurge on $400 yoga pants. 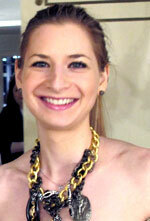 theFashionSpot: Can you tell us about how your background led you to open a retail concept? Jennifer Bandier: My background is in the music business — searching, discovering and managing talent as well as building global brands. While there is no obvious connection between entertainment and fitness apparel, many of the skills I learned while managing bands like TLC were transferable to launching a retail store. tFS: Have you always had a passion for fitness? JB: I have always been an extremely active person and I am very involved in boutique fitness. I was one of SoulCycle’s first customers when they launched in NYC and kick-started the trend of specialized workout classes. tFS: What made you opt for the Hamptons as your first location? JB: The Hamptons in the summer is a special place. It’s a very fashionable crowd and everyone spends their entire day outside being active. With those two givens, Southampton seemed like the perfect place to launch Bandier. I have a home in Southampton and I know the community very well, so I felt confident that Bandier would be a success. tFS: Did you have any trepidations and, if so, what helped you overcome them? JB: I always believed in the concept and never doubted it. A week before opening the store in May 2014, we had all the inventory at my house. Seeing how much we had was a reality check — I realized that we had a lot to sell! But we exceeded expectations and had a wonderful summer! tFS: At what point did you think of expanding or was that always the plan? JB: We did not go in with any expectations, but very quickly after launching we realized that we had to open additional locations. 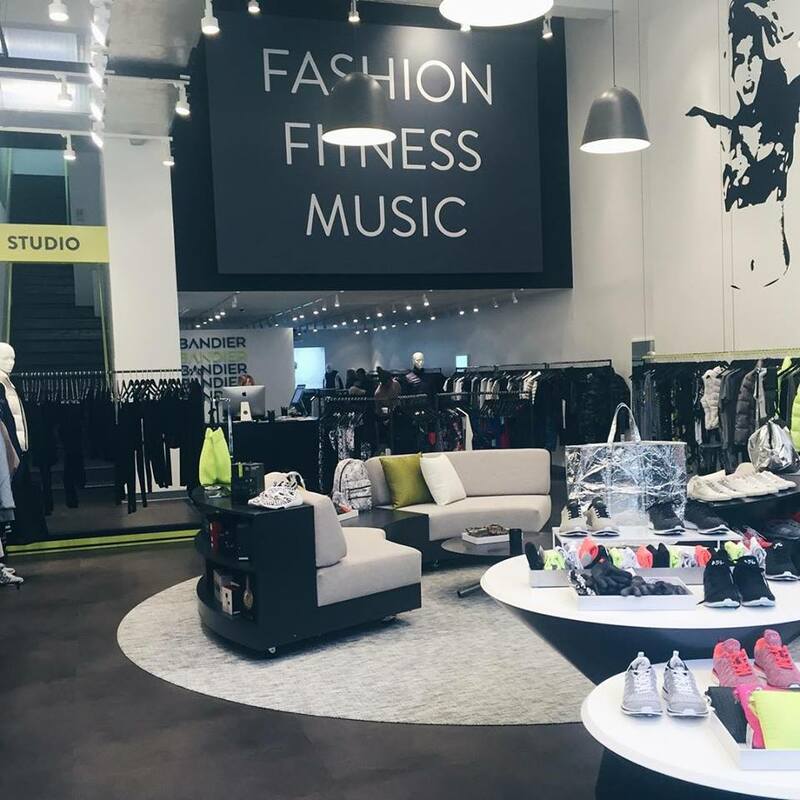 People seemed to love the FASHION FITNESS MUSIC concept and the store’s unique curation. We now have five stores, an e-commerce shop and will open three more stores in the second half of 2016.
tFS: How has the fitness retail scene changed just in the short time since you’ve opened your first store? JB: The consumer is definitely more educated about their active fashion options. 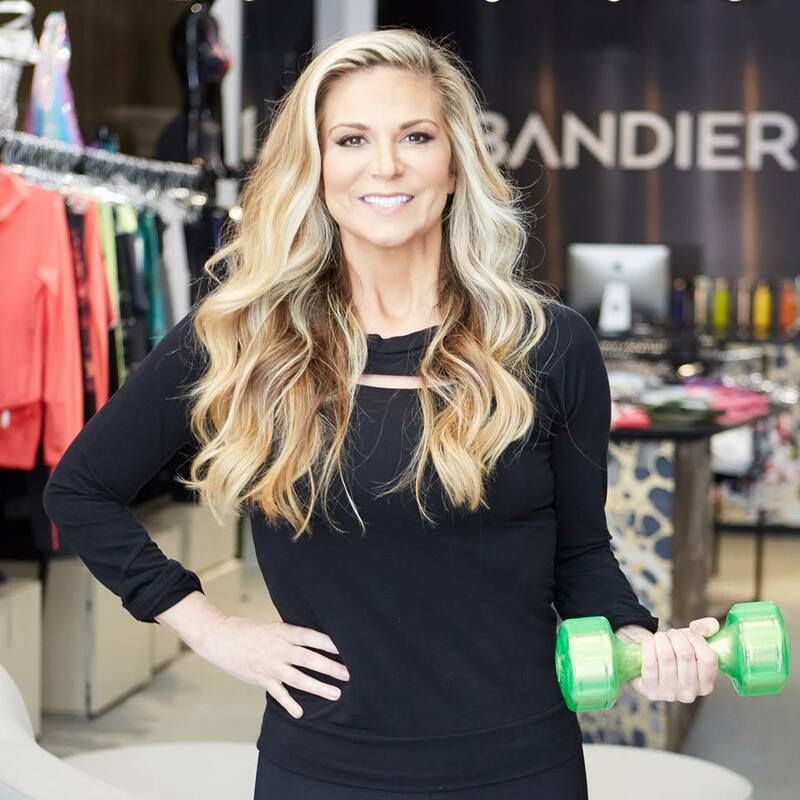 Bandier allows people to learn about 40-plus new brands and understand which leggings are the best for specific workouts. Consumers know that they have more options and are only more excited about it. This makes it fun for us to keep offering our customers something new, different, exclusive and special! tFS: How do you go about finding the brands you will be stocking? JB: At first, I researched a lot online, in magazines and attended every trade show. We still attend trade shows, but many brands also come directly to us. tFS: You’ve done an amazing job with branding and getting the Bandier name out there. What have been some of the keys to that success? JB: Community is extremely important to us. We host weekly events at each of our stores. Our 5th Avenue flagship in Flatiron has a community area as well as a fitness studio where we offer 25 classes per week. Customers come to the store and hang out with us all day! It has turned Bandier into a lifestyle brand. Our exclusive program has also been wonderful in helping us to generate buzz about the brand. About 40 percent of our brands create exclusive merchandise for us, which makes the in-store experience very special. We love our community of #BandierGirls! tFS: You also recently launched e-commerce. How do you work to keep retail relevant with so much business going online? JB: We believe in experiential retail. Our new flagship store format includes a fitness studio, a juice bar and a community area. We have weekly events, panels, discussions and more. We remerchandise the store every week to encourage discovery. And we make the shopping experience fun with great playlists as well as stylists to help you find the perfect gym look. tFS: Can you tell us about Studio B? JB: Studio B serves up a bespoke and expertly curated selection of classes from the industry’s top movers and shakers, combining the very best in yoga, cardio and high-intensity training. Participating instructors include Nicole Winhoffer, Akin Akman, Bari Studio, Patricia Moreno and Taryn Toomey. Bari Studio hosts a few classes and Heather Lilleston and Katelin Sisson curate the yoga programming through their brand Yoga for Bad People. We have complimentary community classes every Friday night. tFS: Advice for other aspiring fitness entrepreneurs? JB: Acknowledge your intuition. If you can’t stop thinking about something, there’s probably a reason for that! Start exploring your idea, get feedback, talk to experts and put a business plan together. Don’t give up! tFS: For fashion designers in particular, can you give them advice on getting the attention of retailers? JB: Fabric is arguably the most important component of a successful activewear company. Definitely prioritize fabric selection, performance and technology. People respond to visuals. Even if you are a small company, make sure that your imagery is beautiful because that is what will communicate your brand story on social media and in lookbooks. tFS: Your schedule must be crazy. How do you stay on top of your own fitness routine? JB: I start every day with a walk or run in Central Park. Starting the day active actually helps me manage my schedule. Also, Studio B has made working out a lot easier — I can pop by for a workout anytime!